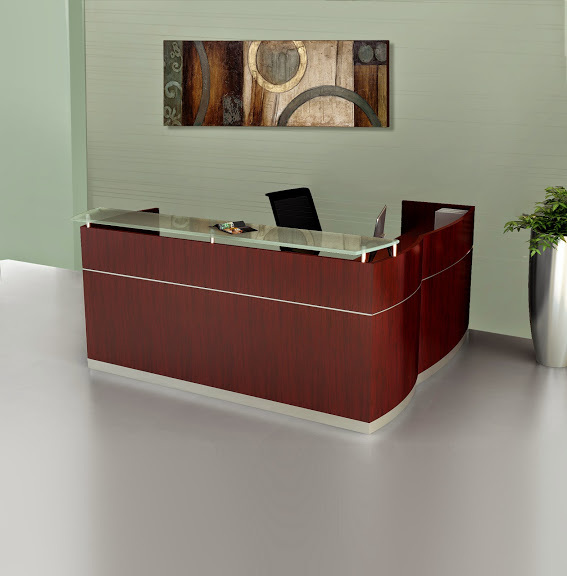 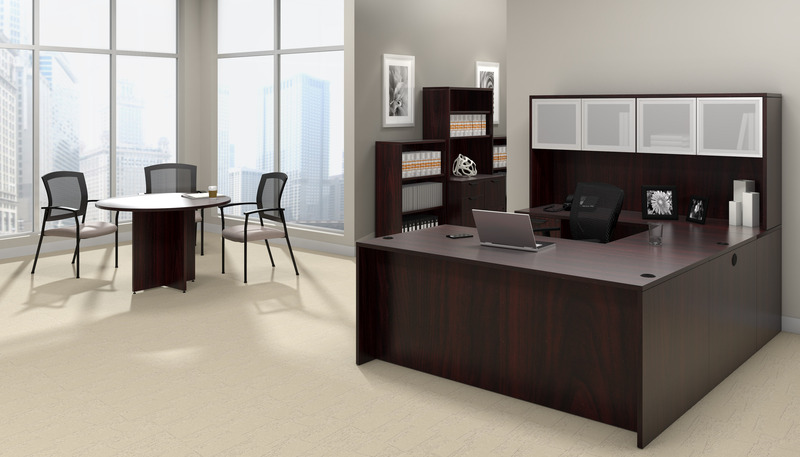 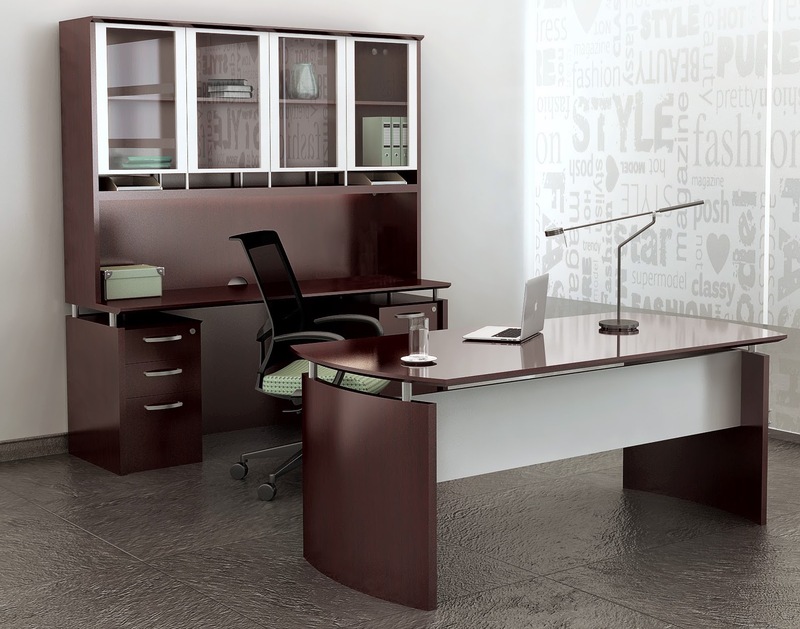 This executive pedestal desk from the Mayline Sorrento furniture collection features a 72" wide straight front design. 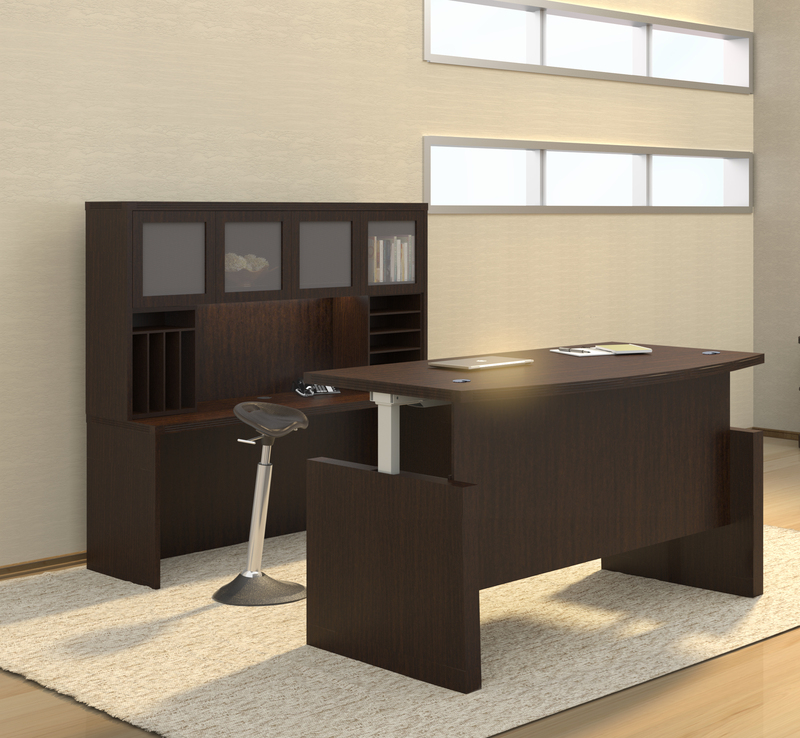 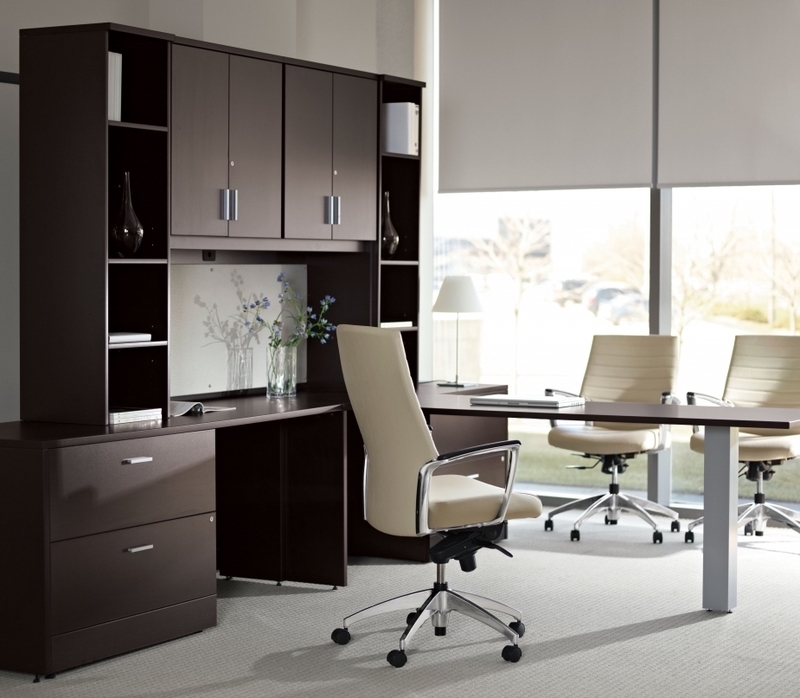 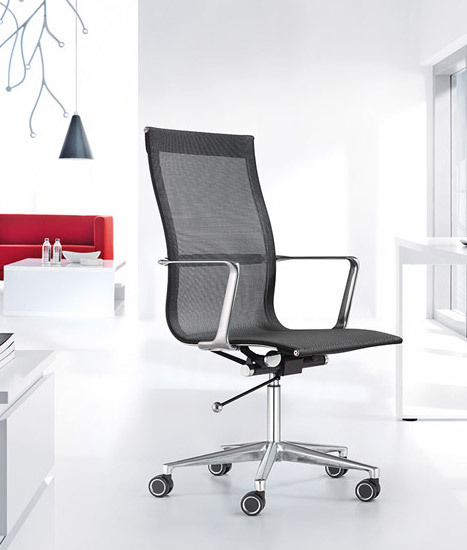 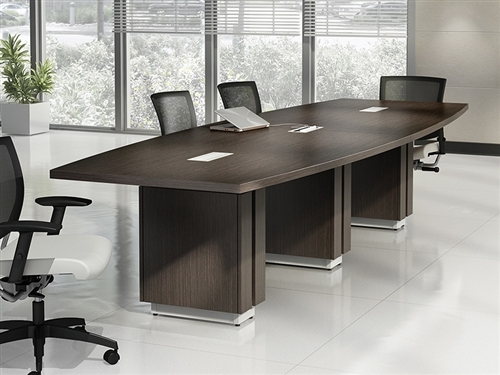 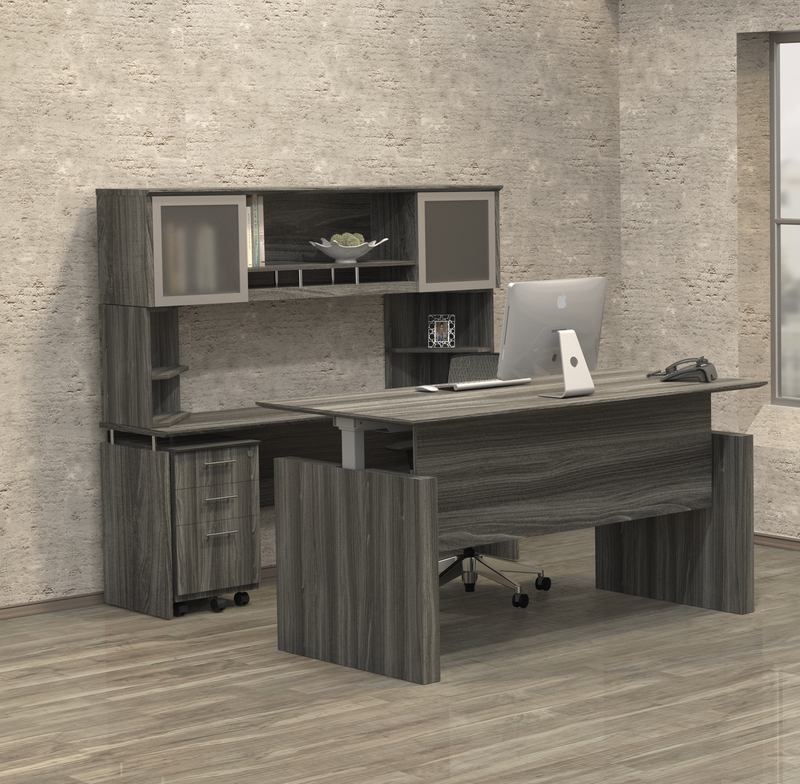 The SDSBB72 model Sorrento office desk is offered in a choice of Bourbon Cherry and Espresso veneer finish options. 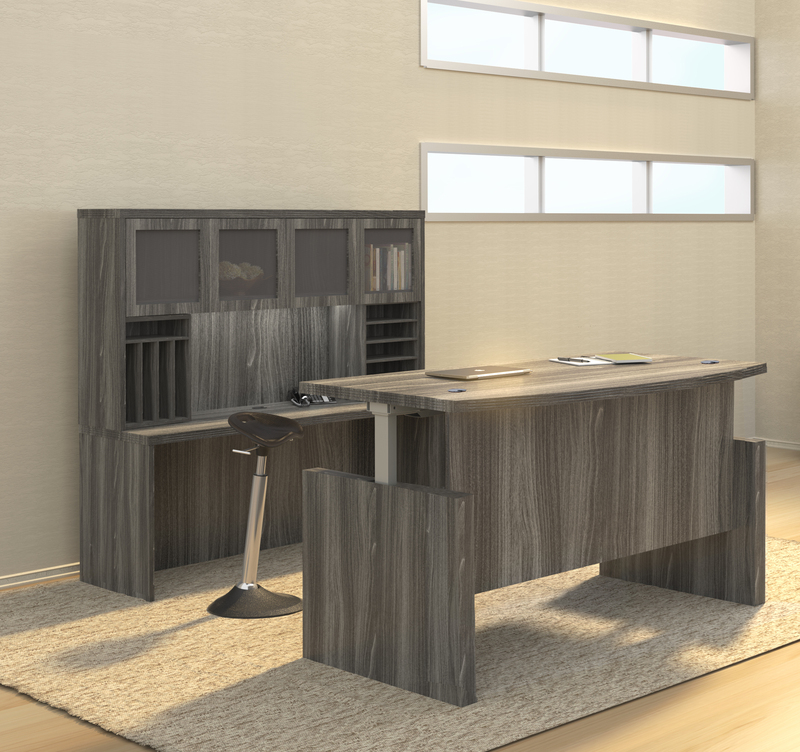 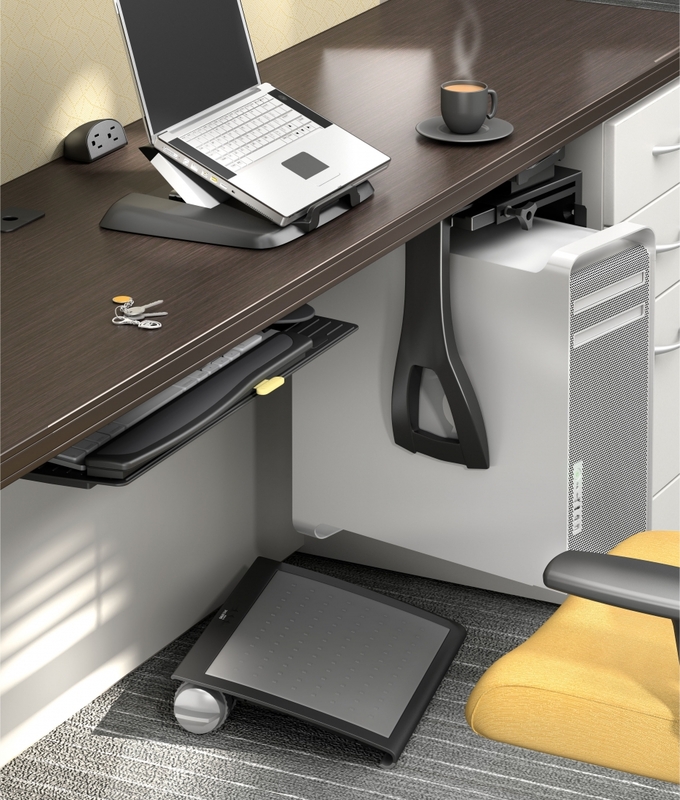 This top of the line desk is perfect for traditionally inspired makeover projects. 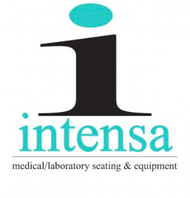 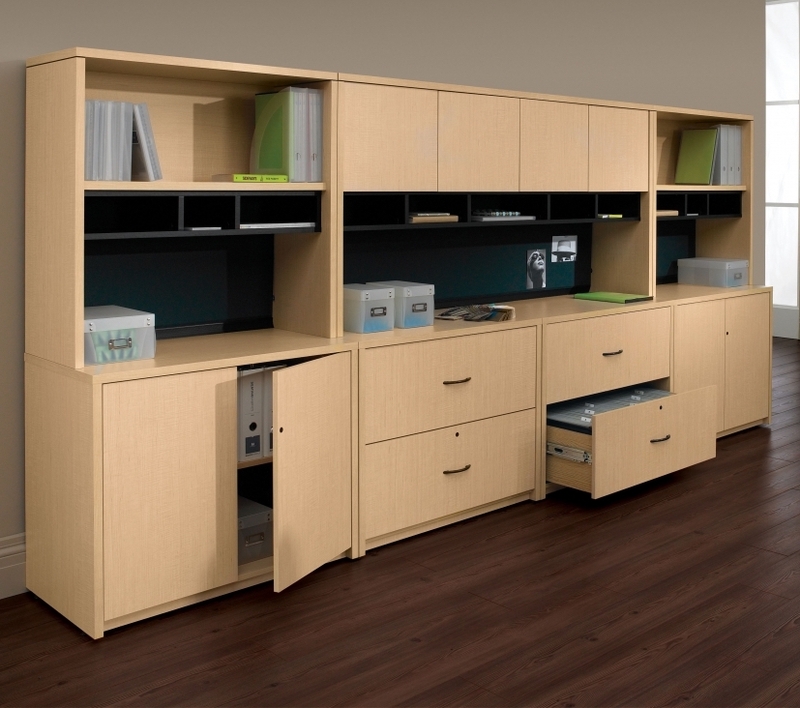 Matching Sorrento furnishings are available including wall cabinets, hutch units, and presentation boards.